Sometimes, you love someone so much that at some point, it becomes an unhealthy obsession. You begin to believe that you own the person—and that the other person doesn’t have anything known as a self-image. This happens mainly when you helped forge the person into what they are today. You believe that since you could bring them this far, you think you know what is right for them. And that is when things start to get worse. When Arsene Wenger joined Arsenal, they were a mediocre club that were far away from the top echelons of football. Slowly and steadily, the Frenchman moulded the Gunners into the image that he saw in his vision. And after that, it became his club. The impression currently is that he could whatever he wants to with the Gunners—and this is causing a lot of problems for the club. It has been a long time since Arsenal have won the league. In the middle, they suffered a trophy drought that lasted over 9 years. And even then, he refused to let go of his ideals. After all, it was those very ideals that took Arsenal to top echelons of world football. But time is a funny little thing, isn’t it? The only thing constant in this inconsistent world is change. If you don’t adapt to the change, you are going to be left behind. And that is precisely what happened to the Gunners. While the likes of Manchester United, Chelsea and Manchester City don’t feel scared to spend in the market, it took Arsenal a long time to get out of that zone and freely spend on players. Now, even when they are spending and breaking their club records on talented players, they are falling short just because they adapted too late. 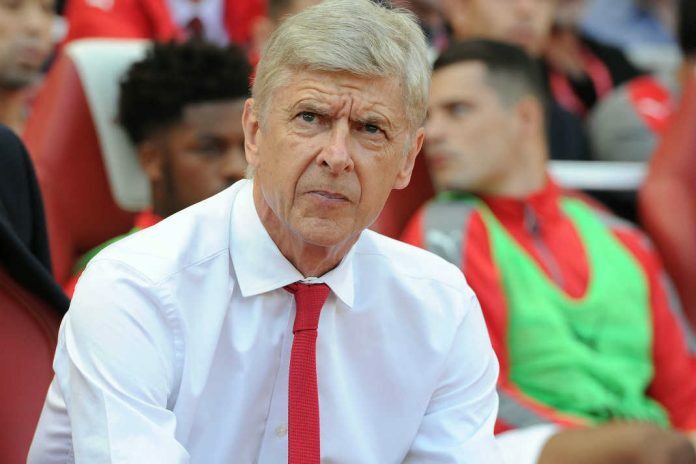 All eyes are now on Wenger—so what should he do to save the thing that he loves the most? All this build up to claim only thing: he should resign. It is time for both of them to move on. This has become a relationship that has turned sour to its very core, so much that no ideas of Wenger seem to be working. They shattered their transfer record for Alexandre Lacazette but didn’t buy enough to strengthen their midfield and defence. The former Monaco manager always neglects something or the other. His ideologies aren’t working anymore, even the change that he tries to exude isn’t really a fragrant one. As a result, it is time for a change. A change in the way the club is run, a change in the way the team plays—a shift in everything. Unlike the departure of Sir Alex Ferguson from Manchester United, something from which the Red Devils are yet to recover, bringing in a new manager will almost certainly rejuvenate the Gunners. Ancelotti has been linked to the Emirates. He is someone who is not known for doing too much with the team. The easy-going approach of the Italian is what got him the axe at Bayern Munich. However, him—or top tier manager, for that matter—could breathe a new lease of life to the Gunners. If you love someone with true heart and selflessness, sometimes the best way to show it is letting go—and Wenger should just let go of Arsenal. Yes the assessment is right to the point. The team needs change and it should start with exit of Wenger. He refused to change with time and the results are before us.Arsenal missed chance to sign Klopp, thereafter Gurdiola and now unless someone like Diego Simmone is brought the team will continue to suffer. Its time to say good bye to Wenger and his outdated approach.